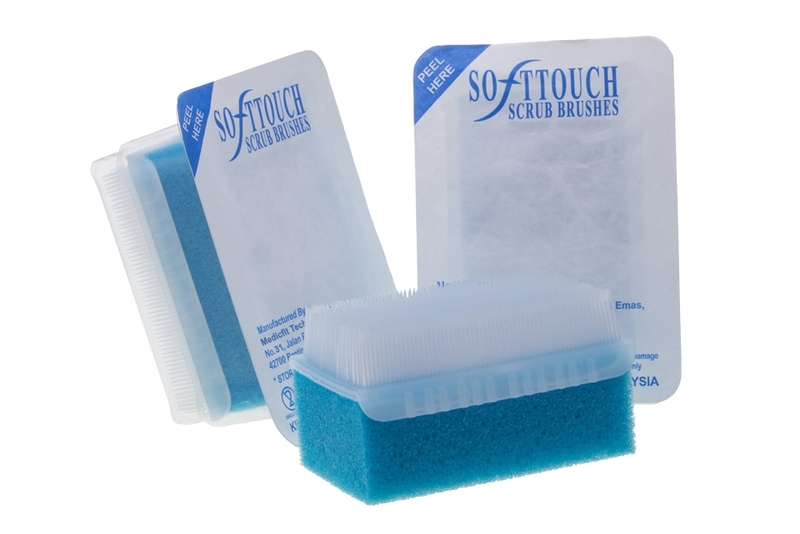 Softtouch Scrub Brush is very soft densely-arranged bristles to give better contact with the skin and fingernails without discomfort or skin abrasion. Compliance with pre-operative handscrub, cleaning process for doctors and nurses hands and forearm. Scrub Brush firm sponge layer use to spread the handsoap and disinfectant more evenly. 2) Individually packed in blister tray. 4) Sterility guaranteed unless lancet damaged or opened.